I’m sure you’ve seen this kind of contest before over at Princess Bookie, I totally love those, and the Crescendo Cover Contest last year was very successful, So I decided to do another one! That’s right, we are gonna do a Re-Create Cover Contest! but not just any cover, no no no! You will have to do your very own This side of the Grave Cover! Your job though, will be to recreate a cover for the most recent release, This Side of the Grave! 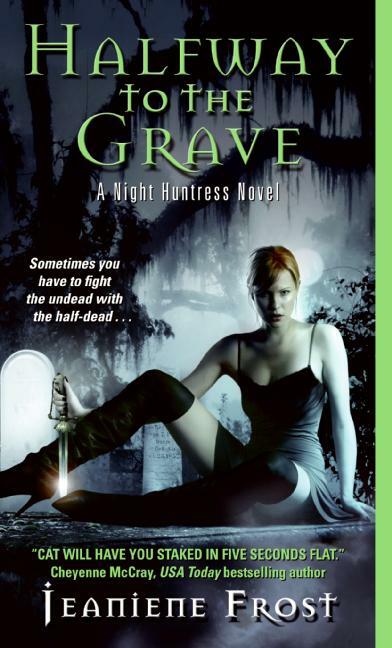 Jeaniene is offering a Signed copy of This Side of the Grave to the winner. I will also offer a copy of Eternal Kiss of Darkness to the runner-up. Well first this contest will be opened for entries until March 18th, 2010. On March 21st , I will put up a post with all entries and will open a vote. The cover with the most votes will win! Now go ahead, get in creative mode and show us your talent! When you are done, please fill the form below! You don’t need to have a blog, just need to host your cover somewhere. Please be respectful of copyrights because neither Jeaniene Frost, nor myself support copyrights infringements. Avoid using someone’s artwork and smack a title on it please. Please help me spread the news! This Side of the Grave is already available in stores! Hmmm....Jessica Alba as Cat and James Marsters (a la Spike) as Bones. Thanks, Tynga. Now I want a movie, and I won't be happy unless they cast those two as the leads! Lol. I am gonna sit this one out I can't design but I can't wait to see the entries. James Marsters as Bones = No way. Wow, I love this cover contest :D And thank you for making it international - I live in Hungary and it's so hard to get a signed book from my favourite authors - and Jeaniene is my absolute-favourite :D So THANK YOU!